INSPIRED BY BRILLIANCE! | An observer’s notes on ODDC 2012. These were the buzzwords at the first Open Data for Development Camp in Kenya held at the iLabAfrica, Strathmore University on Wednesday and Thursday. The event coincides with the first anniversary of the launch of the Kenya Open Data portal, through the Kenya Open Data Initiative, KODI. 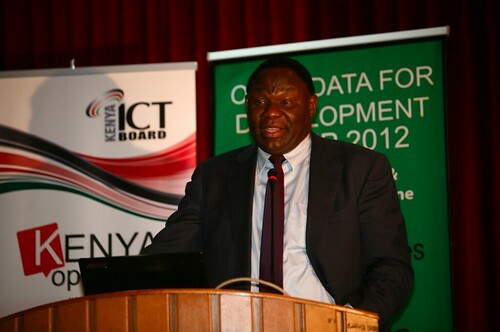 Dr. Bitange Ndemo, the Permanent Secretary in the Ministry of Information and Communication in Kenya, shared his joy that Open Data in Kenya was soon celebrating its first year since inception in July 2011. Achievements from this initiative include: a master class being held on data journalism and creation of a number of applications from open data portal. He acknowledged that the accomplishments so far were not satisfactory. Being an election year, he expected that consumption of the open data by the public and legislative representatives would be high. Using the example of how questions that could be answered by data from the open data portal are still being asked in parliament he put across point that the quality of policies could be greatly improved through the use of data to inform decisions. Dr. Ndemo also gave statistics on the declining agricultural productivity and disparities in health indicators in various parts of the nation. 80% of citizens farm and yet this isn’t enough to feed 50% of the population and therefore we still import food. Other nations use 5% to feed their nation and export. 40% of produce is wasted from the time it is harvested to consumption. Mashups of open data could be used to explain these phenomena and yet the uptake by Kenyans, their representatives, the media is quite wanting. He stressed on the need for Kenya to embrace data and science and to begin to apply the numbers. Dr Ndemo, as passionate as ever on matters open platform addressed the crowd, pointing out one area after another where Open Data had could be used. The gathering listened keenly as he spoke – without an iPad, or a PowerPoint slide, or a speech – characteristically. Inspired Passion! He ended on a light note by challenging us to be innovative and to begin our own version of YouTube, K-Tube!! Others speakers during the event included: Al Kags (Chair of the Kenya Open Data Initiative), Johannes Zutt (Country Director, World Bank), Bart Lacroix (Open For Change), Linnette Kwamboka (Project Coordinator, Open Data at the ICT Board), Petri Kola (Helsinki Open Data), and Joseph Sevilla of Strathmore University, among others. Kenya Budget Explorer, an initiative of Twaweza, is a visualization of the Kenyan budget. The user can see government expenditure in the form of total spending by sector, counties, per capita, ministry and this visualization can be in bubble form, bar or time graphs. Inspired Creativity! Mzalendo meaning patriot in Swahili is a site that keeps an eye on the Kenyan parliament. It has the latest news as relating to parliament; Hansard recordings; democracy resources where citizens are given information on how democracy runs in Kenya, information on MPs, their backgrounds and participation in parliament; matters relating to elections e.g. the aspirants; newsletters; blogs and a wealth of other pertinent information. Inspired Action! Open Data Development for Development Camp in Kenya held at the iLabAfrica – Strathmore University on the 27th and the 28th of June 2012. . 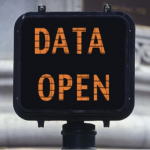 The first Worldwide open data camp organized by Open For Change, was held last year in Amsterdam where nine datasets were presented and in two days four apps were built. The Kenyan chapter event had a number of organizers that included: ICT Board Kenya, Kenya Open Data Initiative, Open for Change, World Bank, NaiLab, @iLabAfrica, Akvo, 1%CLUB, Hivos, Ministry of Foreign Affairs of the Netherlands, and Development Gateway, among other collaborators. 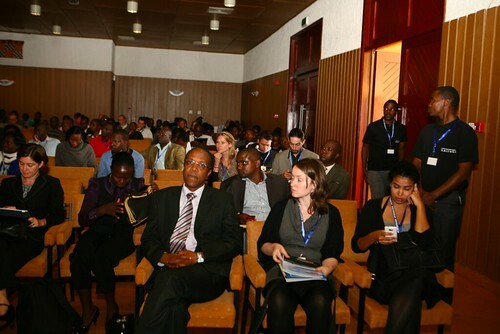 The Camp was organized to focus on Open Data in Kenya, reflect on the milestones achieved, share the challenges experienced and possibly provide a road map on the way forward and its role in the Open International Development. It gave an insight into The Kenya Open Data Pre-Incubator Program, a six-month experiment to help accelerate the ability for the public to make sense of data and to galvanize engagement around critical public issues. It also enabled the participants to engage with each other, build networks, and work together to create tools that show the power of Open Data in Kenya. Among the participants was a mix of expertise from policy-makers, academia, development aid workers, researchers, journalists, ICT-staff and students, to software developers who are active in the field of Open Development Data. More insights from interesting conversations at the open data for development camp 2012 will be posted soon.